MINING VENTURE: Blackwater is expected to have 200 trucks hauling coal through its town each day in new coal project. 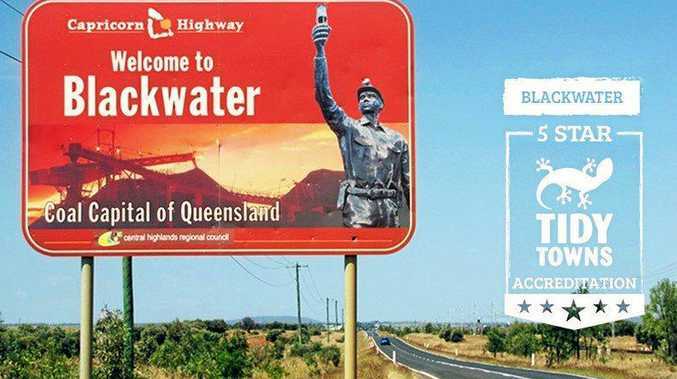 AROUND 200 coal laden trucks will begin rolling down the heart of Blackwater in coming weeks after a "behind the doors deal” was revealed to unsuspecting locals. A community consultation was held in Bluff about the benefits to the community of the Chinese-owned company Carabella Resources' Bluff Coal Project, however Blackwater residents were left in the dark about the plan, which is set to transport coal from the open cut mine outside Bluff through Blackwater's main street to the coal handling and process plant just outside town. Speaking on behalf of disgruntled Blackwater families, spokesperson James Strong said the residents were "very concerned”. 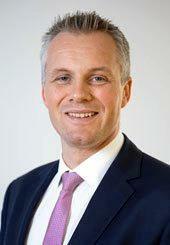 A director and partner for Citadel Magnus, Mr Strong provides advice to clients on investor relations, financial communication and strategic advice on corporate transactions and crisis management. When he heard about the news from peers in Blackwater, he was inspired to speak up. "It comes down to sustainability and the environmental and social angles,” he said. "It's surprising what's been done here. Mr Strong said 150-200 70 tonne trucks travelling through the centre of Blackwater each day would not only cause "wear and tear” on the road but also disrupt the lives of the population of 5000. "The damage to the road, the endangerment to the lives of the residents are concerns,” he said. "We know safety will be a big thing for a haulage company but it's a numbers game. "If there's 200 trucks going backwards and forwards each day, that substantially increases the risk of an accident. 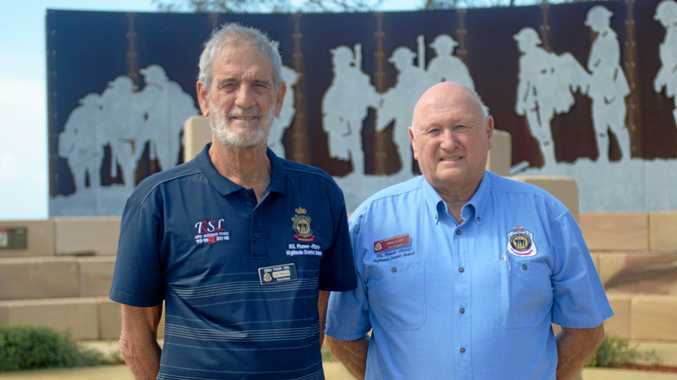 Mr Strong said despite the availability of a local rail transloader outside Bluff that could transport the coal straight to Gladstone, the loss of money for Bounty Mining and job opportunities decreasing meant it wouldn't be a factor. "Cash strapped ASX-listed Bounty Mining has struggled over the past few months with various management changes, temporary suspensions and the disappearance of contracts has struck a deal for use of its Cook CHPP with the Chinese-owned Bluff Coal Project,” Mr Strong said. 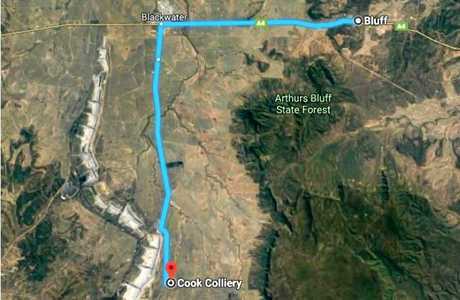 "The deal will see the Bluff Coal Project truck its coal 20km along the single carriage Capricorn Highway through the centre of Blackwater along Railway Street where the trucks will then turn left at the Frank Tutungi Memorial Lions Park and continue down Ardurad Street. "Not wanting to get its own hands dirty, the Bluff Coal Project has outsourced the trucking of its coal to Cook to ASX-listed mining services firm MACA. MACA's August 2018 ASX announcement described the contract (in addition to other work) as a "10 year, $700m life of mine contract”. The locals were grateful for the opportunities a new mine would provide the two towns, but are demanding answers. "They've heard about it from people in Bluff but can't find any information on it,” Mr Strong said. "I know one or two families have tried to reach Bounty Mining but have been told 'we are not talking to you, you need to speak to Bluff'. "With Bounty's recent financial difficulties, they've got a funding in place which now they have to show they are cash flow positive every month. "This contract is a very big part of keeping cash flow positive every month so they're keen to keep this contract. "But if it's so important, you would think they would try to get the community on side. Mr Strong said the issue comes back to sustainability. "Something is going to have to give. Either it's the residents, the road or one or all three of the mining companies,” he said. The Morning Bulletin approached the Department of Transport and Main Roads and Bounty Mining. Bounty Mining did not wish to comment. The Department of Transport and Main Roads could not comment before deadline last night.